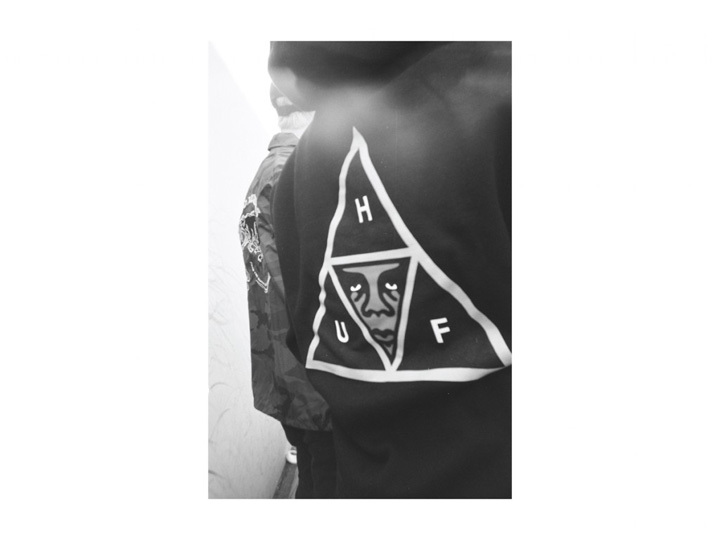 Two streetwear giants meet this season as California based brands OBEY and HUF team up on an exciting collaborative project. For those of you who have followed the movements in both skateboarding and streetwear over the years, will know the scale of this collaboration. Both brands have played a pivotal role in building the culture and have helped shape the market to this day. Combining the worlds of street art, streetwear and skateboarding, the collection draws inspiration from the do-it-yourself approach, from which both brands have built their names from humble beginnings. They keep it simple throughout, staying true to their roots with staple silhouettes including tees, hoody’s and coach jacket’s, as well as a considered headwear selection. 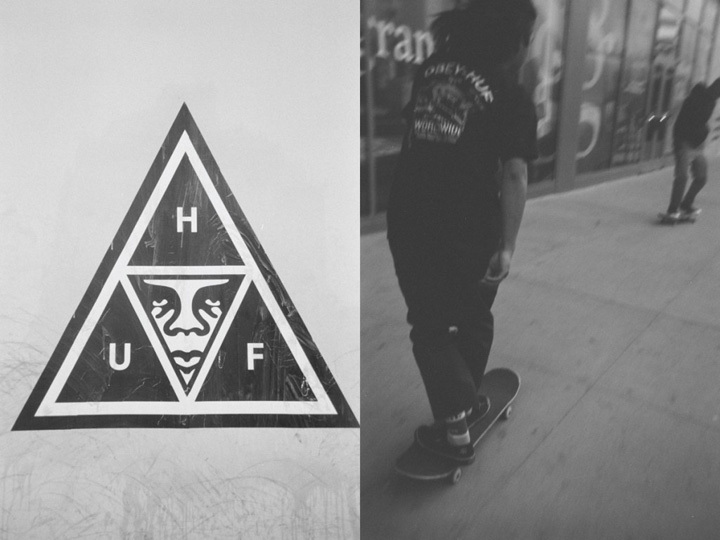 Playing to both brands strengths, the release is heavily graphic led, combining the iconic Andre the Giant logo from OBEY with the popular Triple Triangle design from HUF for a hybrid logo which features several times throughout the release. Stand out items include the ‘Rat Race’ long sleeve tee and the OBEY Triple Triangle 6-Panel cap.